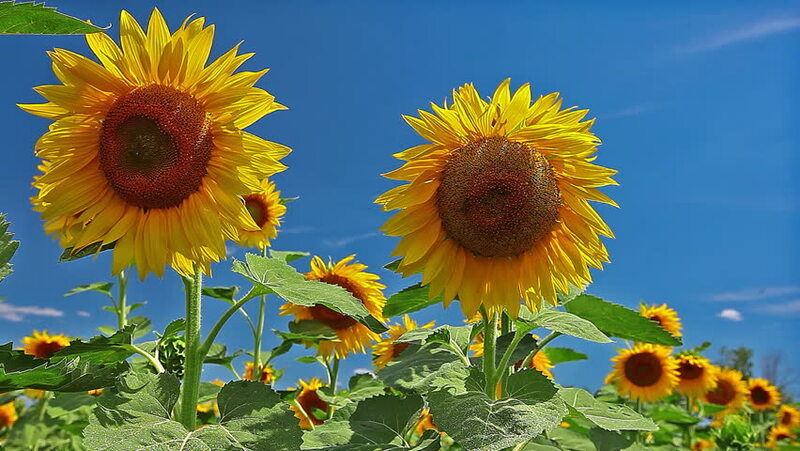 flowering sunflowers. 4K. FULL HD, 4096x2304. hd00:17field sunflower blooming : Dolly shot.